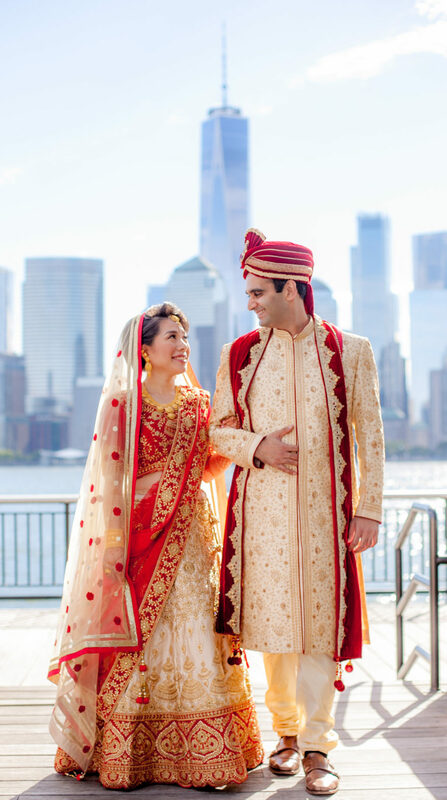 Akina and Nirav - Sonal J. Shah Event Consultants, LLC. Dear Sonal, Ginny, and Team. Thank you so much for making magic at my brother and Akina’s wedding. All of our guests were blown away, and even as the host family, we all had a great time at all of the functions – none of which would have been possible without your consulting, planning, and coordinating services. Where do I begin? There are so many things to highlight about the SJS team. Sonal, you were understanding of our wishes and family sensitivities, and willing to share your wedding wisdom freely throughout this process. Ginny, you were so well-organized and on top of every little detail, with great recommendations and ideas for us. On the day-of, Neeti kept the flow going in the bridal suite. I wish I had been keeping notes on the rest of the team, but I was busy enjoying the party! Every vendor you directly recommended to us was a superstar. Everything went off without a hitch. I have never seen my entire family on-time, much less early – but you made that happen, with time to spare for extra photos. We got everything we wanted out of this celebration, and we got to enjoy it instead of stressing out about logistics. We got to enjoy watching our immediate and extended families enjoy it, instead of them sweating the details. You handled our surprise VIP guest without complaint – you were just laser-focused on making it happen. You switched some of your own guest rooms to make life easier for one of the vendors. You made sure that the gifts, leftover favors, and even a tier of the wedding cake made it back safe and sound to the bridal suite. You managed to find a Japanese interpreter to facilitate for our in-laws. You set up our origami crane placecard holders by color, and it was gorgeous. There was no detail too small or large for you to handle. There are a hundred things more that I am forgetting and probably a hundred things more that we will never know you took care of. Thank you, thank you, thank you. I have never heard of a wedding where nothing goes wrong, until I was part of this one. Thank you so much, Sonal and SJS Events team – you make everything go right!